The 2016 UDIA (Qld) Awards for Excellence is now open, and with less than two weeks left to ensure your project is in the running for an award now is the time to register your Intent to Enter. 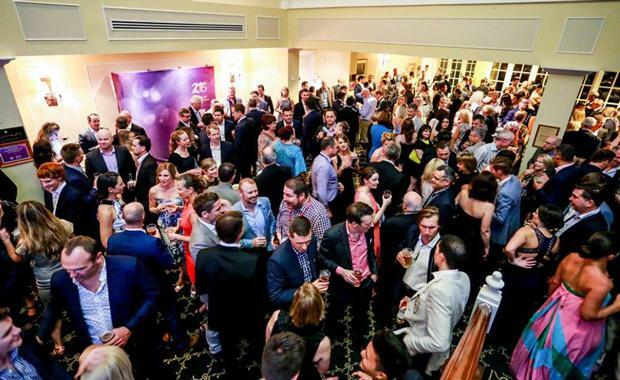 The development industry’s peak representative body invites developers and consultants across Queensland to enter their projects to win the industry’s most prestigious and highly respected accolades. Now in its 22nd year, the Awards for Excellence recognise quality and innovation in the development industry in Queensland. With an outstanding number of nominees in 2015 many of our judges commented on the difficulty in choosing between entrants and many were very close calls. Across 12 categories, the awards are designed to highlight and honour exceptional developments that offer inspiring new places for Queenslanders to live, work and play. The development industry is charged with the task of creating communities to support the lifestyles of all Queenslanders. CEO of UDIA (Qld), Marina Vit, said that’s why our award’s categories range from ‘affordable housing’, ‘residential subdivision’, and ‘urban renewal’, to ‘seniors living’ and ‘environment excellence’. Aside from the 12 award categories, this year a CEO’s Regional Project Award has been introduced, the winner of which will be chosen from the best regional projects in eligible categories. Winners will be officially announced and presented with a prestigious award over a gala lunch to be held on Friday 4 November 2016 at Brisbane City Hall. “We are shaking up the awards this year with a celebratory lunch in Brisbane so the whole project team can attend,” Ms Vit said. Ms Vit said that each year the UDIA (Qld) Awards have grown in stature and prestige. “Each year we see diverse and high quality entrants that continue to raise the benchmark in industry excellence,” she said. Winners will be profiled in the awards edition of establish magazine which will be distributed to UDIA (Qld) members. “Winning an award creates other tangible benefits,” Ms Vit said. -4 November 2016 – The finalists and winners will be announced at an awards lunch in Brisbane. 2015 winner for High Density Development—Austin by ARIA Property Group. [/caption]The new, faster awards submission process features just a few questions and accounts for only 30 per cent of the judging process. The big focus is on the site inspection which accounts for at least 70 per cent of the judging process—but there is no need to stress as this is months away!To help intending applicants increase their chance of success there will be an information session on Thursday 2 June 2016, at the UDIA (Qld) office Level 12, 120 Edward Street, Brisbane where UDIA (Qld) staff will meet informally with applicants and share information and tips on how to best prepare an entry. Don’t miss out on gaining the industry recognition and acclaim your project deserves. It only takes a few minutes to register your Intent to Enter which closes Friday 6 May 2016. There is no cost and no obligation – but it will start the process of being considered a UDIA (Qld) Award winner.